Hey Jennifer! Great summing up and really good to meet you guys! Its a complete reverse to what most events are like – the warmth blew me away too. As someone from the UK, i expected to sneak into the tweetup and hide in the corner! But as soon as i got in i had people come up and say Hi! I agree. I’ve been to conferences in the past, but none in HR and very different then this! I had a such a great time. Glad you were able to make it over from the UK! 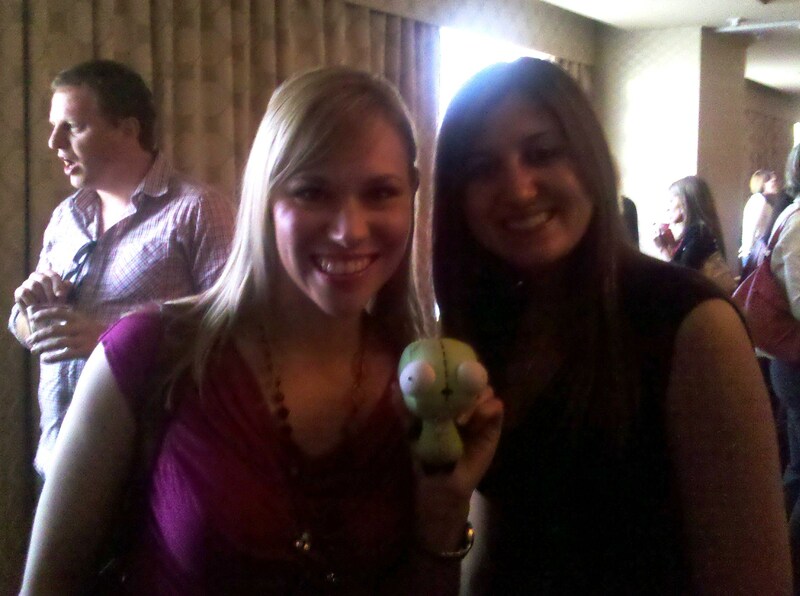 Jennifer, how exciting to know that HRevolution was your first HR event! I applaud you and Julie for making the leap and joining us. I know it’s hard to go to any conference where you don’t know people. I’m glad you were able to connect right away and find people who introduced you to others. That has been my experience too. If I had found something like this early in my career, it would have been fantastic. I think that is part of the reason I created HRevolution- because for years I had no way to connect other than a local SHRM chapter of 50 year old HR vendors and pros who only want to talk about legal updates and selling me a product. I think that at any age, the take away can be the same from HRevolution. It’s about passion. Not just passion for HR, but for our lives. I turned 40 this year and it’s one of those big “reflection” milestones. Whether I was in my 20’s or 30’s, there have been those moments where I thought I figured it out. Back in my 20’s, I thought my passion was HR compensation. Then in my early 30’s, I realized that being a business partner to my clients was my passion. Then in my late 30’s I found social media and decided that communication was my passion. Now, I’m realizing that passion can be something that grows and morphs over time. That’s what keeps me excited about our profession. I hope you find what really makes you happy and engaged. If you haven’t seen or read it, check out “Eat, Pray, Love” and it will give you some ideas. Thanks for coming to HRevolution and we hope you come back and stay connected! Thanks again for putting on such a great conference! I feel the same way and look forward to staying in touch with all of the fantastic people I had the pleasure of meeting. I also agree with passion being something that is constantly changing. I think it’s good when your passion changes from one thing to the next, because that shows growth as an individual. I don’t think I’d want to passionate about one thing my whole life! Where’s the fun in that? I’ll be sure to check out “Eat, Pray, Love.” Thanks for the tip! It was great to meet you and fellow ROC compatriot Julie at the event. I am really pleased you found the event enjoyable, and please do continue to connect and engage with the folks you met at HRevolution. See you guys next time! I really enjoyed meeting you too, Steve! Thanks for putting together such a great event. Hope to see you around ROC!